His reputation was managed to a tee. your web presence and reputation and gain more traction with customers. Gosh I don't know, I just loved Fonzie in my time. It is snowning in Waymart, PA tonight, what else is new. We are just getting over a foot of snow last night. 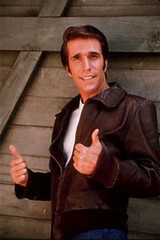 The Fonzie was it, we are just trying to make it, hope to make it one day. Well it is sweltering where I am Vincenzo, writing this from Australia at this time. The reputation issue is an interesting one and one that needs to be approached from a very basic level, since it is worth remembering that many many small business owners are still not au fait with the mysteries of the internet and will be shocked to know that there is anything on the internet about them, if they didn't put it there. Softly, Softly would be my advice, on easing them into the idea... and making the solution to knowing what is being posted about them and having a way to respond, something that they can depend on Merchant Circle for. Disturbing a mob is not very helpful usually. If you've ever seen a western movie with a Stampede, you'll know why. We are relatively simple animals after all. Part of Fonzie's strength was his relentless brand. 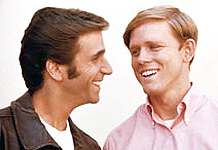 To those of you not schooled in the "Happy Days" school of marketing. 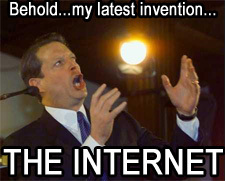 Our hero, and his product (himself) suffered from bad positioning and naming. Dropping the first name (Arthur) and less advantageous location (above the Cunningham's Garage)... he was thereafter known as "the Fonz." I've said it before, and many before me have said it... presentation (i.e. brand) is everything. It isn't without effort, but a good image pays for itself... even if that image is meant to be "bad." That reputation score goes up as you take back control of your web presence and reputation and gain more traction with customers.